Cinderella's Royal Table is a table service restaurant offering character dining experiences for breakfast, lunch and dinner at Walt Disney World's Magic Kingdom. 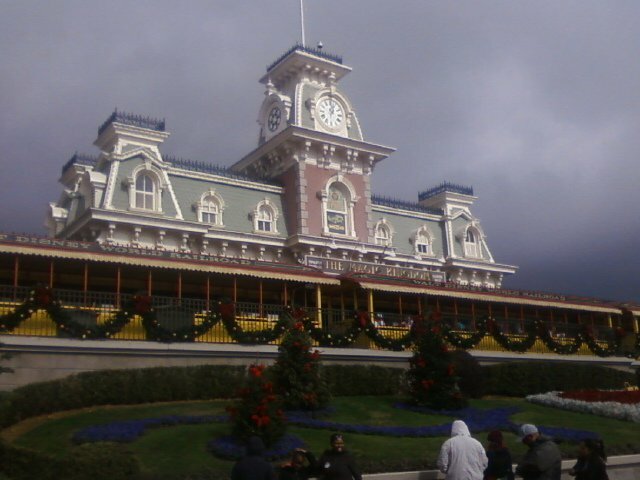 It is located within Cinderella Castle, in the center of the park. 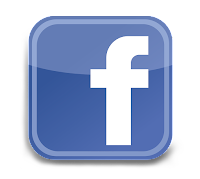 Reservations are essentially mandatory, and in fact - plan on making them well in advance (that 180 day advance reservation option has been known to come in very handy!). 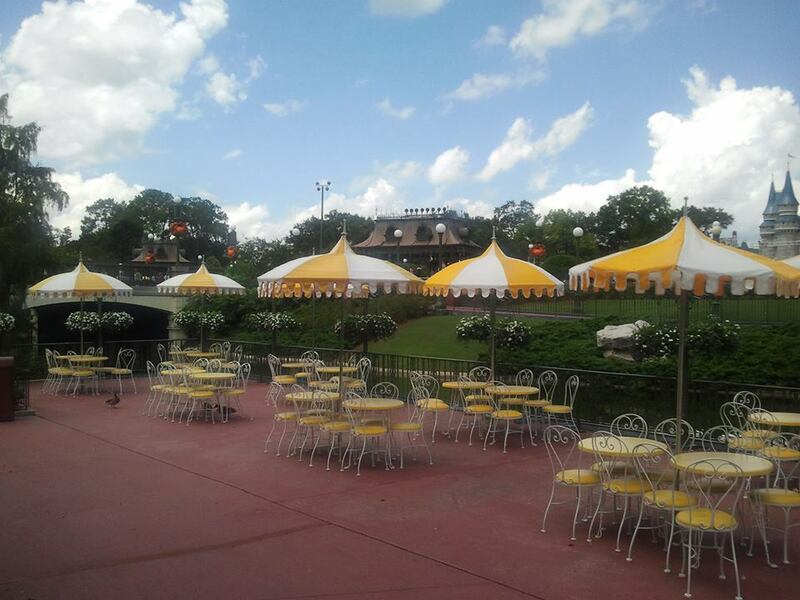 For many Magic Kingdom visitors, this is considered to be the ultimate in dining experiences. 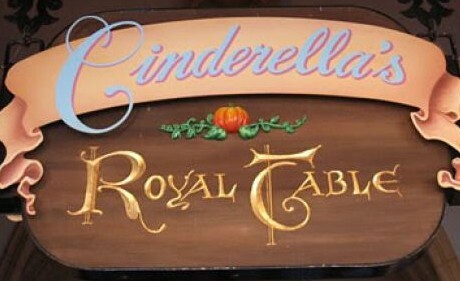 Cinderella's Royal Table does participate in the Disney Dining Plan. Be Our Guest is a table service restaurant offering lunch and dinner options at Walt Disney World's Magic Kingdom. 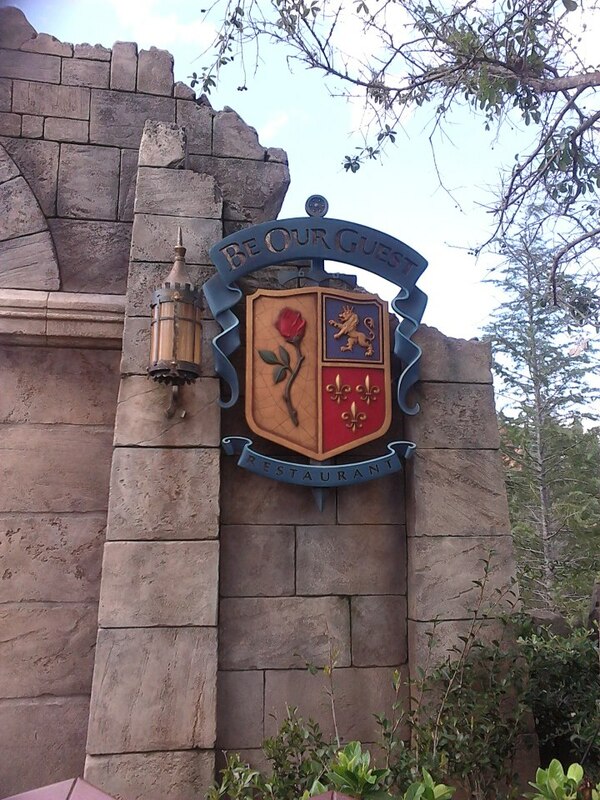 It is located in the new, Enchanted Forest portion of Fantasyland, next to Enchanted Tales With Belle. They do accept reservations for dinner, and this is highly recommended. Not only is this one of the nicer dining options on property, but it is still "new", and very popular. Be Our Guest does participate in the Disney Dining Plan. 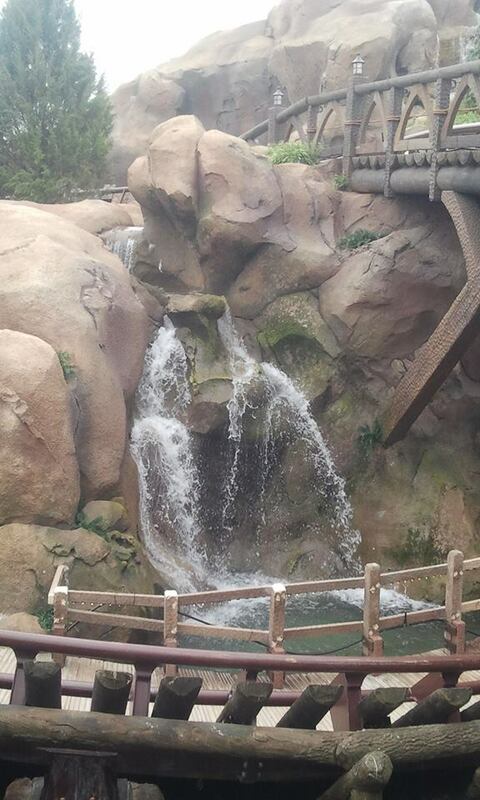 I covered the Seven Dwarfs Mine Train while it was still under construction last year. I will admit that I was disappointed with the Fantasyland expansion overall. 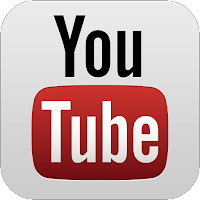 I felt it was over-hyped, and ultimately there was very little to show for the time and build up when it was finally unveiled. Perhaps I expect too much, but I was beginning to feel that the Mine Train was taking forever, and I sincerely feared that the wait would not prove to be worth it at all. Every time I passed the construction area, I paused to observe progress (as best as Disney would allow us short folk to observe, that is). As it was taking shape, I concluded that this ride would lay somewhere between Barnstormer and Big Thunder Mountain Railroad on the "thrill-o-meter". 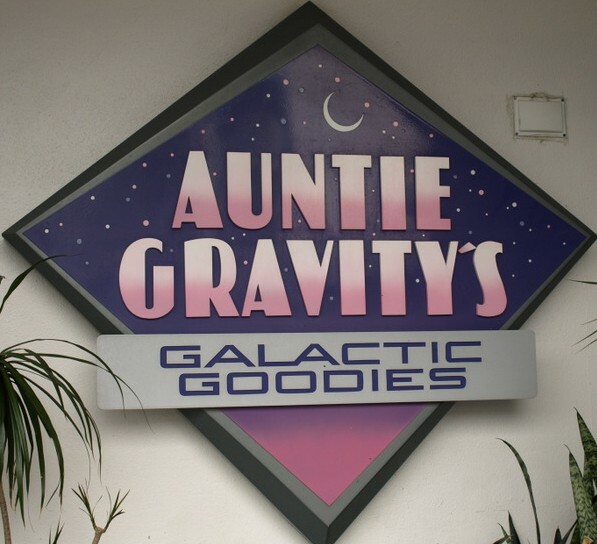 Auntie Gravity's Galactic Goodies is a counter service restaurant offering desserts and frozen treats at Walt Disney World's Magic Kingdom. It is located in Tomorrowland, across from the Astro Orbiter. They do not accept reservations, but they do participate in the Disney Dining Plan. This location offers outdoor seating at nearby umbrella-covered tables and area benches. Though not the breeziest or shadiest of places to unwind, this is a nice, open area for a people-watching break. There's always something to see in Tomorrowland, after all! Sleepy Hollow is a counter service restaurant offering snack and light meal options all day at Walt Disney World's Magic Kingdom. 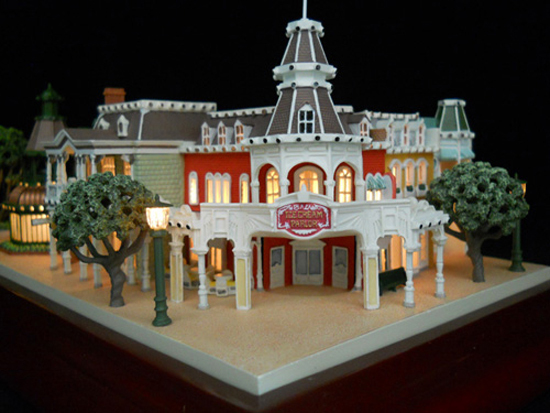 It is located in Liberty Square, near The Hall of Presidents. They do not accept reservations, but they do participate in the Disney Dining Plan. 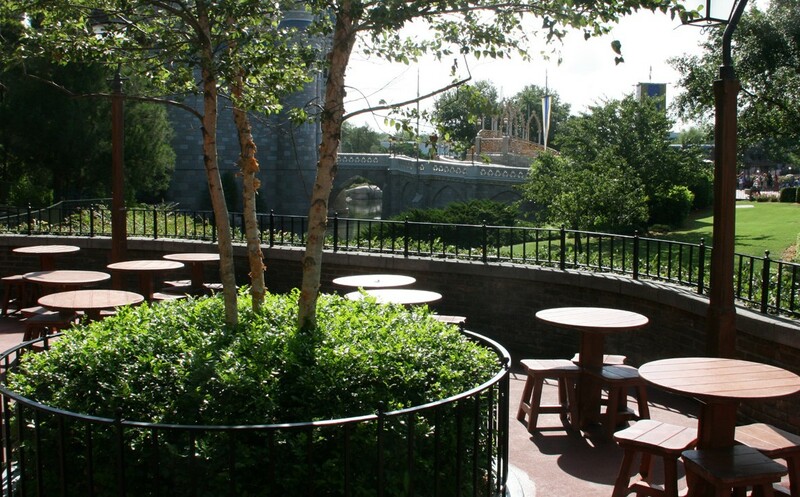 Limited outdoor seating is available at this location, which serves as an ideal spot for quiet castle gazing. 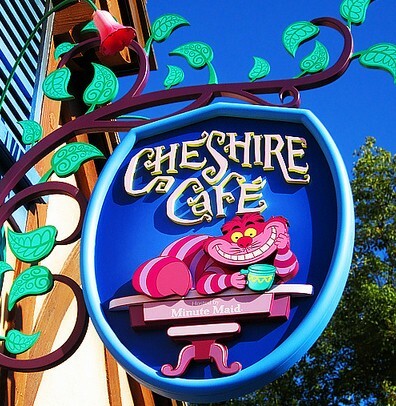 Cheshire Cafe is a quick service kiosk offering refreshing snack and drink options at Walt Disney World's Magic Kingdom. It is located in Fantasyland, across from Mad Tea Party. They do not accept reservations, but they do participate in the Disney Dining Plan. Seating options are limited to nearby tables and benches. 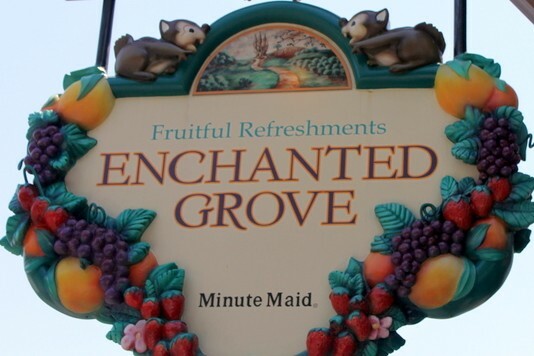 This location was previously known as The Enchanted Grove before a 2011 name change and refurbishment. 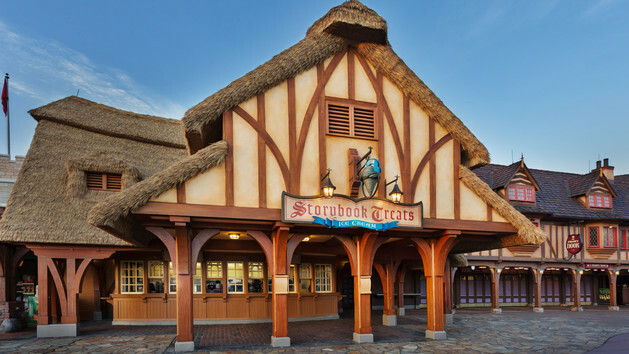 Storybook Treats is a quick service snack kiosk offering dessert-style snack options at Walt Disney World's Magic Kingdom. 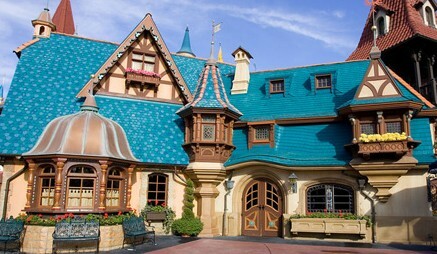 It is located in Fantasyland, near The Many Adventures of Winnie the Pooh. They do not accept reservations, but they do participate in the Disney Dining Plan. Seating is limited to area benches. This location was previously known as Mrs. Potts Cupboard before a 2010 name change. 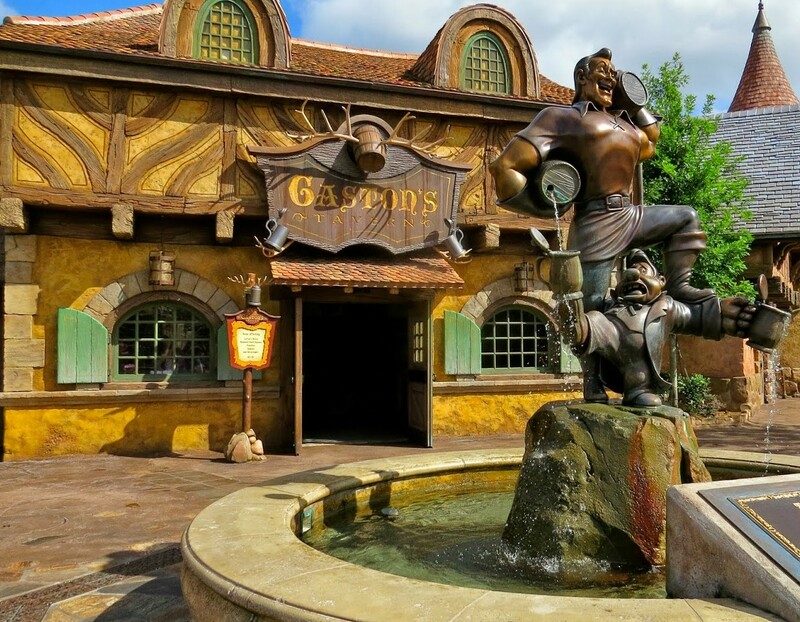 Gaston's Tavern is a counter service restaurant offering quick snack options at Walt Disney World's Magic Kingdom. 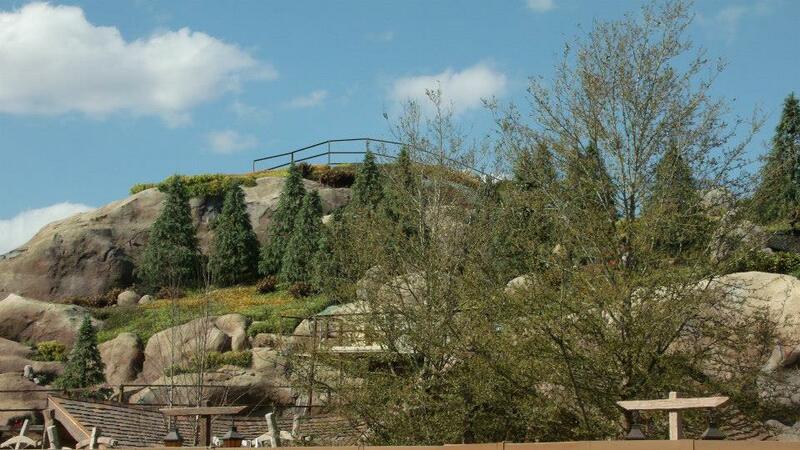 It is located in the recently expanded area of Fantasyland, and opened in October of 2012. They do not accept reservations, but they do participate in the Disney Dining Plan. This countryside lodge themed location offers both indoor and (nearby) outdoor seating options. 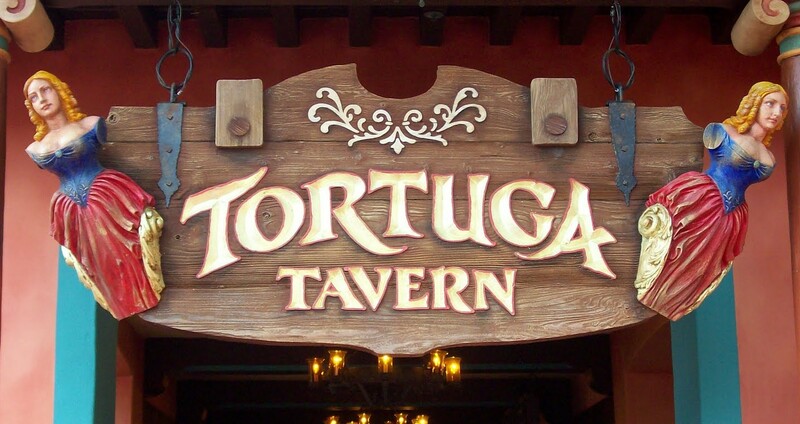 Tortuga Tavern is a quick service restaurant offering lunch options at Walt Disney World's Magic Kingdom. 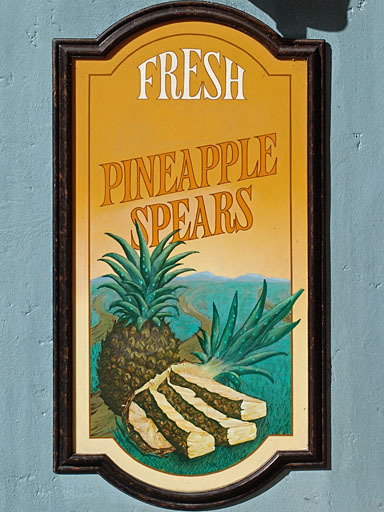 It is located in Adventureland, across from the Pirates of the Caribbean attraction. They do not accept reservations, but they do participate in the Disney Dining Plan. Fittingly, Tortuga Tavern is themed to welcome pirates, rapscallions and scallywags for a South of the Border dining experience. 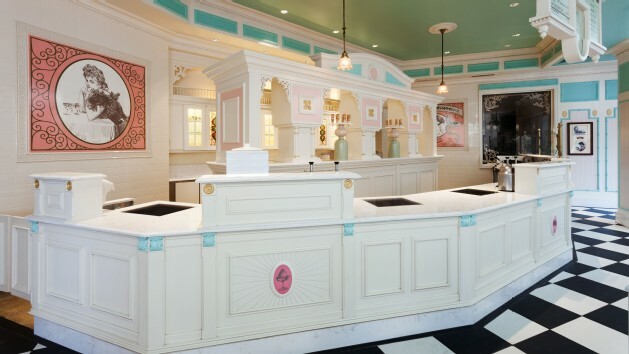 The Plaza Ice Cream Parlor is a counter service restaurant offering frozen dessert options at Walt Disney World's Magic Kingdom. 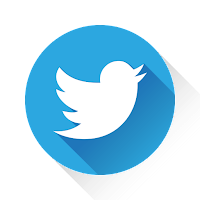 It is located on Main Street, adjacent to The Plaza Restaurant. They do not accept reservations, but they do participate in the Disney Dining Plan. This is a nostalgic, Victorian themed ice cream parlor with limited outdoor seating options. Columbia Harbor House is a counter service restaurant offering lunch and dinner options at Walt Disney World's Magic Kingdom. 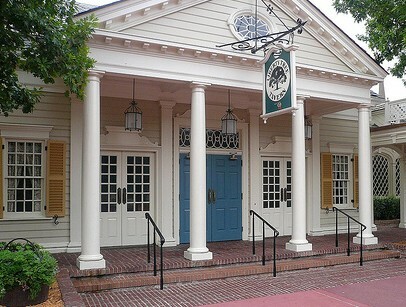 It is located in Liberty Square, across from The Haunted Mansion. They do not accept reservations, but they do participate in the Disney Dining Plan. 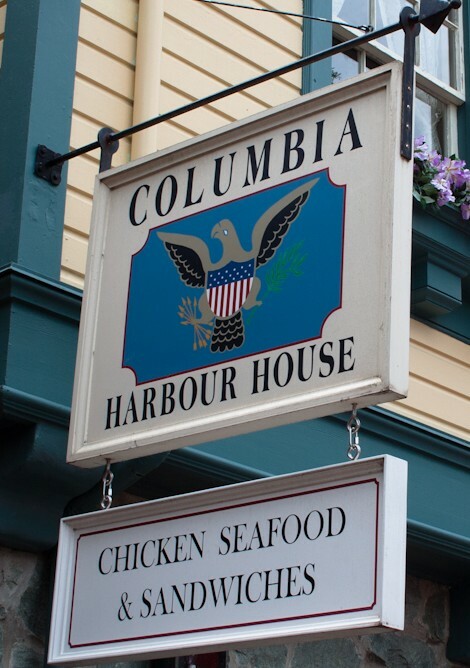 This location is themed around the Colonial New England coast area, with indoor seating options. Pinocchio Village Haus is a counter service restaurant offering lunch and dinner options at Walt Disney World's Magic Kingdom. 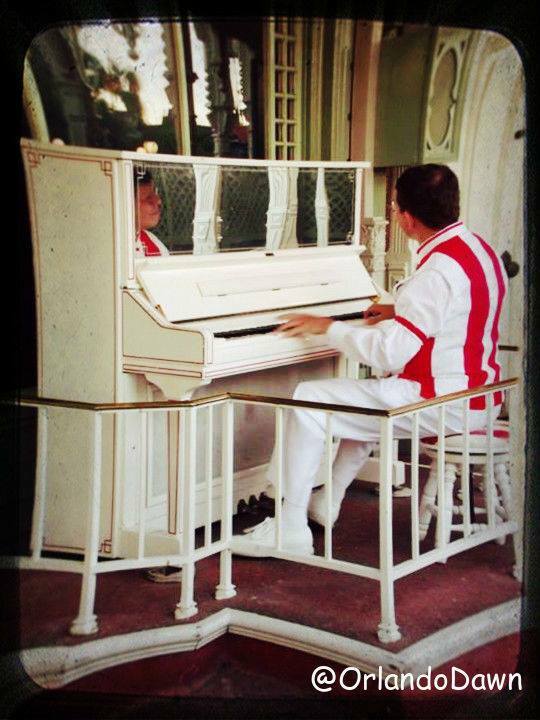 It is located in Fantasyland, next to "it's a small world". They do not accept reservations, but they do participate in the Disney Dining Plan. This location features both indoor and outdoor seating options. 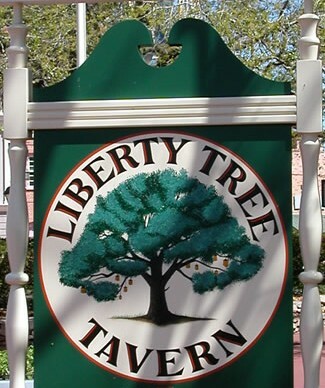 Liberty Tree Tavern is a table service restaurant offering lunch and dinner options at Walt Disney World's Magic Kingdom. It is located in the center of Liberty Square. 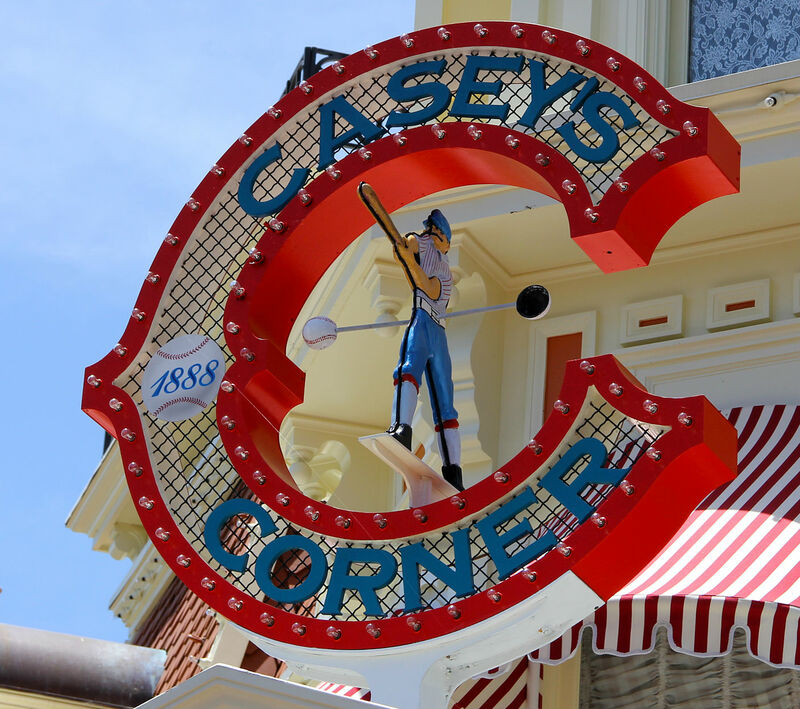 Reservations are recommended, and they do participate in the Disney Dining Plan. This location is themed around 18th century Colonial America. Ample seating is available in six rooms themed in honor of six prominent historical figures. 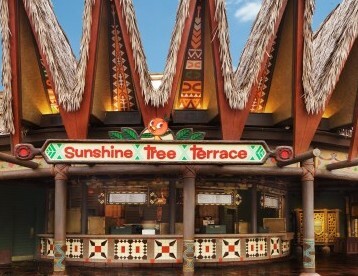 Aloha Isle is a quick/ counter service restaurant offering drinks and frozen treats at Walt Disney World's Magic Kingdom. 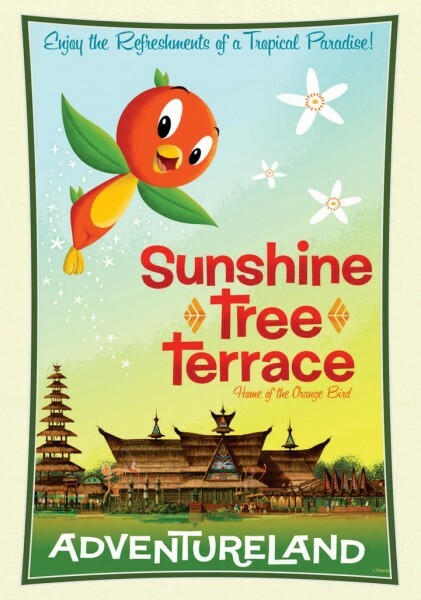 It is located in Adventureland, just past the entryway from the Castle hub. They do not accept reservations, but they do participate in the Disney Dining Plan. 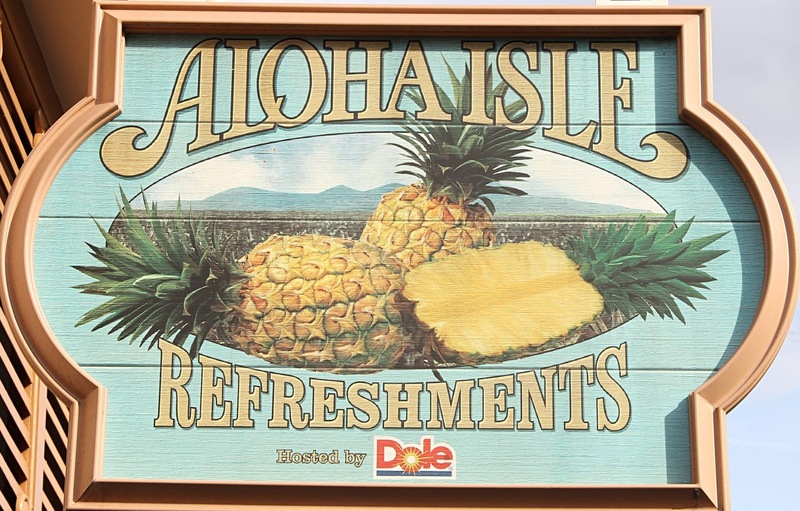 This is a tropical themed location that could also be declared Disney's "home of the pineapple". 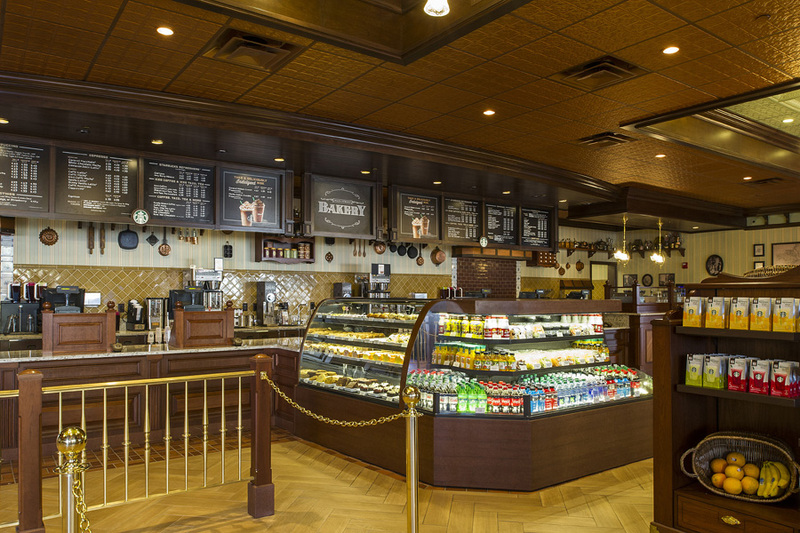 The Lunching Pad is a counter service restaurant offering quick snack options at Walt Disney World's Magic Kingdom. It is located in Tomorrowland, beneath the Astro Orbiter. They do not accept reservations, but they do participate in the Disney Dining Plan. Outdoor seating options only. 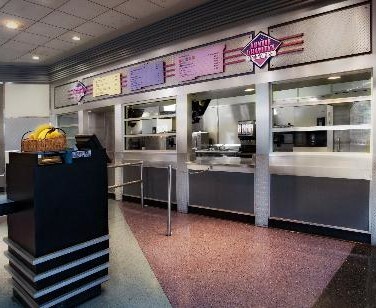 Cosmic Ray's Starlight Cafe is a quick service restaurant offering lunch and dinner options. 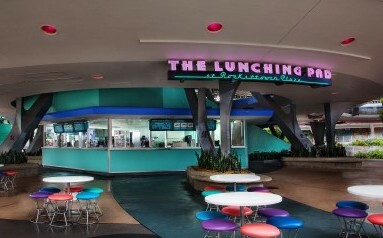 The largest counter service restaurant in the Magic Kingdom, Cosmic Ray's is located in Tomorrowland, across from Tomorrowland Speedway. They do not accept reservations, but they do participate in the Disney Dining Plan. This is a very popular dining location, and crowds are the norm here. Luckily there is plenty of seating, both outdoors and indoors. I won't say I've never had to hunt down a free table at Cosmic Ray's, but I can't recall finding nowhere to seat on any of my many visits to this location. Prime seating tends to be in the viewing area for Cosmic Ray's unique dinner entertainment, Sonny Eclipse, an audio-animatronic lounge singer. If you have your heart set on sitting in this section, plan on demonstrating patience. Scout out a table before you order your food. Send a family representative to order while another holds your coveted table. Voila - dinner (or lunch) and a show!